Les Stern, President of L. Stern & Associates, has more than 30 years of marketing accomplishments across several industries, including financial services, healthcare, professional services, information and technology, and building trades. His expertise covers all areas of strategic and tactical marketing, as well as marketing management. After beginning his career as a newspaper reporter, Les moved into marketing, where he had positions of increasing responsibility at Kemper Financial Services, Dean Witter Discover, and the Sachs Group. He formed L. Stern & Associates in 1999. Les has been a frequent speaker on various marketing topics. He has been quoted, and has had articles published, in numerous publications. Les received a B.J. in Journalism from the University of Missouri, and an MBA from the University of Chicago Booth School of Business. 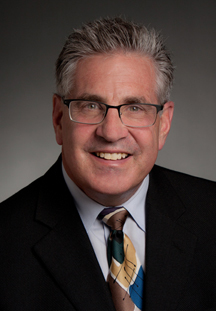 Les has served as an adjunct professor of healthcare marketing at North Park University, and is a Commissioner on the Northbrook (IL) Senior Housing Commission. He also is or has served on the Boards and/or Marketing Committees of non-profit organizations including The Northlight Theater, The Selfhelp Home, and the Northbrook Symphony Orchestra.